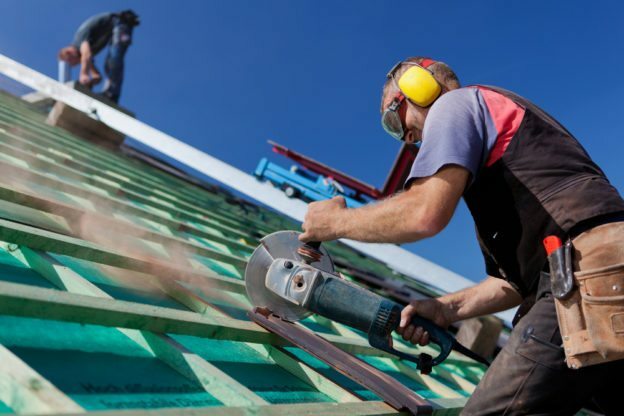 If you are employed in the construction industry, you know how dangerous your job can be. Acknowledging this fact, do you and your colleagues take steps to protect yourselves from injury in the workplace? There are many ways you can reduce your chance of suffering an injury, one of which is educating yourself about the risks you face and who is liable in various injury scenarios. If you are injured at work, seek medical attention as soon as possible. Then, work with an experienced construction accident lawyer to determine who is liable for your damages and how to seek compensation for them. Which Machines are the Most Dangerous? Construction is one of the most dangerous occupational fields for workers. In 2011, the Bureau of Labor Statistics (BLS) reported that it had the second-highest number of fatal injuries of all occupations in the United States. Although ladders might not seem as dangerous as the other tools listed, a worker can easily fall from a ladder or be crushed by a falling ladder and suffer a significant injury. The Occupational Safety and Health Administration (OSHA) provides guidelines for workplace safety in various industries. Familiarize yourself and your coworkers with OSHA’s construction safety guidelines to reduce your chance of being injured on the job. Injuries in the workplace are not always due to misuse of work equipment or a lax attitude toward safety. Sometimes, they happen because a machine malfunctions or because it contains a faulty part. When this happens, the equipment’s manufacturer may be liable for the victim’s damages. If you have been injured in an accident at your work site, speak with experienced construction accident lawyer Jeffrey K. Kestenbaum to learn more about your rights as an injury victim. Contact our office today to schedule your initial consultation with us. Fill out our online form today to schedule your free case consultation or call 718-237-5586. This entry was posted in Construction Accident Lawyer and tagged Brooklyn construction accident lawyer on November 17, 2016 by Jeffrey K. Kestenbaum.